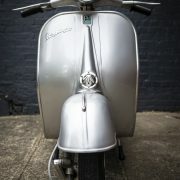 VESPA 150 with a Pinasco tuning cylinder, 24 mm Dellorto, 12V conversion, 4-speed gearbox: added sparkle to the last restoration rolling out the doors before Christmas! 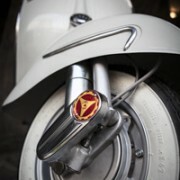 Ride Safe and see you all in the new year! 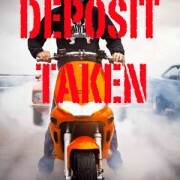 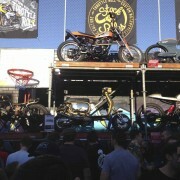 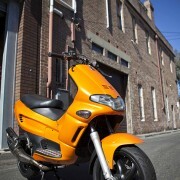 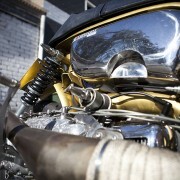 Will be sold with NSW Blue Slip Certificate (Road Worthy Certificate). 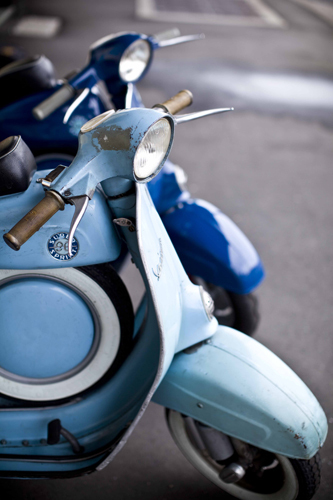 For interstate buyers, we can help arrange transportation at customer’s expense. 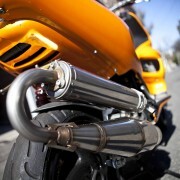 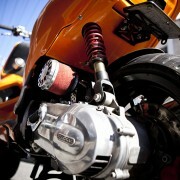 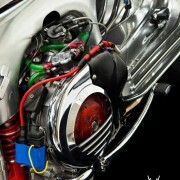 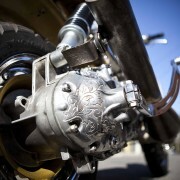 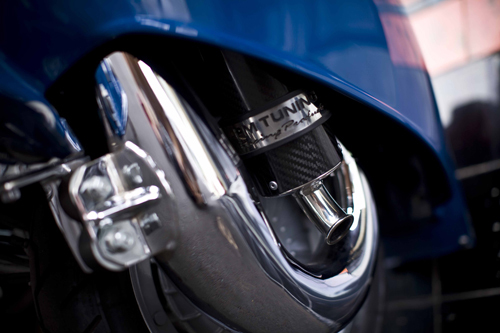 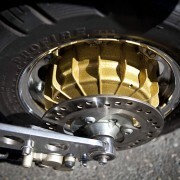 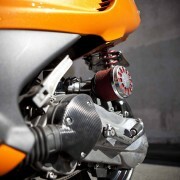 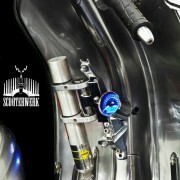 Dyno-ed over 142km per hour- For burnout and wheelie fun! 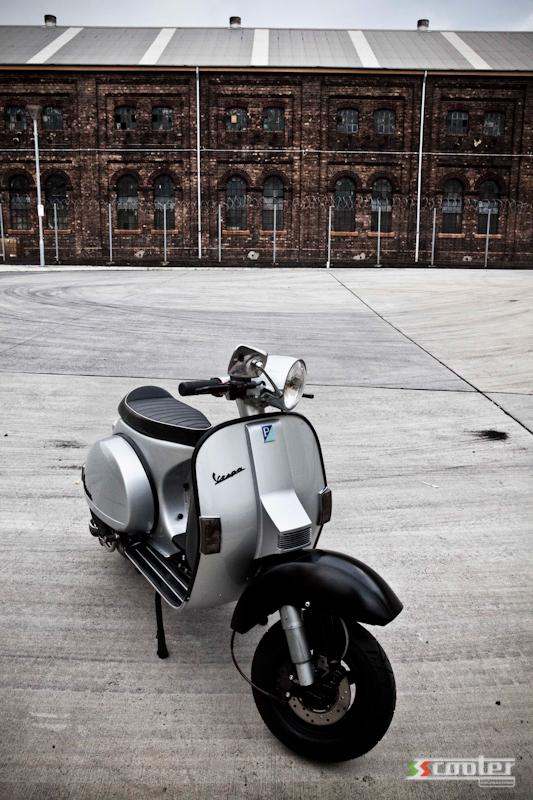 This GS 160 MK 1 is now a world traveller, and in 50 years she is has done a full circle of the globe. 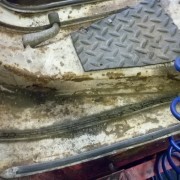 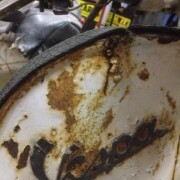 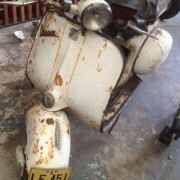 and brought to Sandy at S.S Scooter in need of a full restoration a year ago. 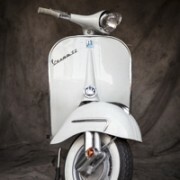 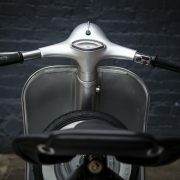 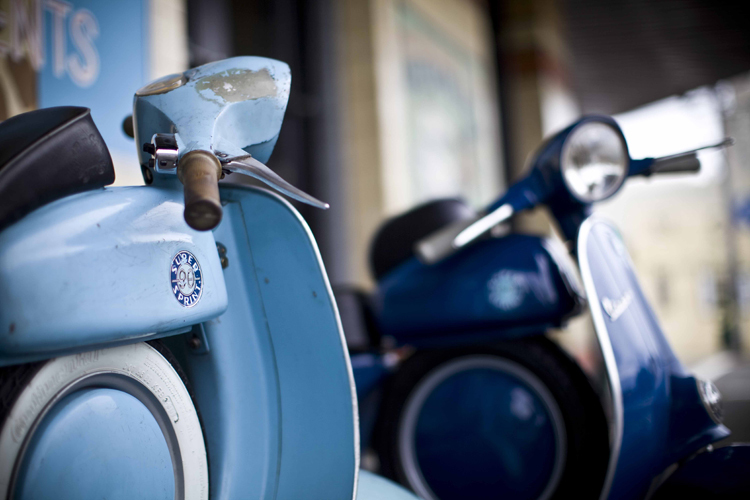 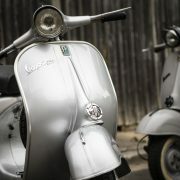 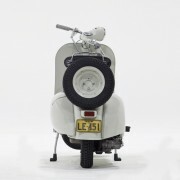 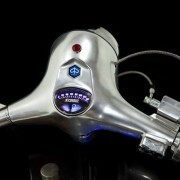 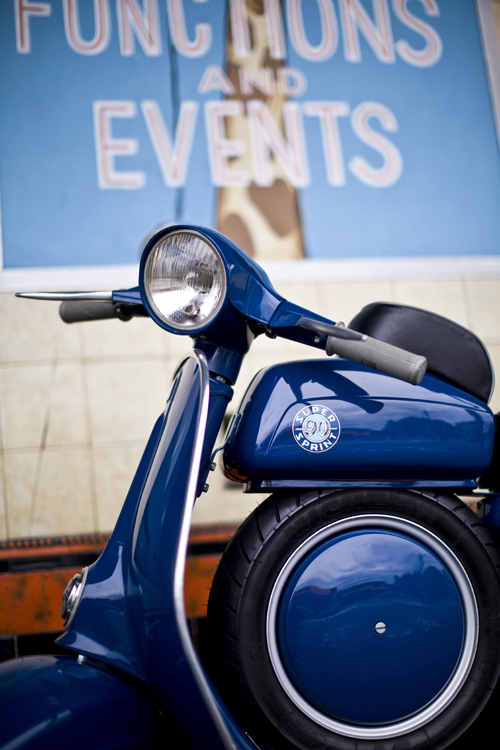 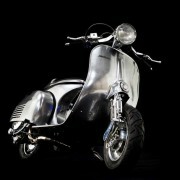 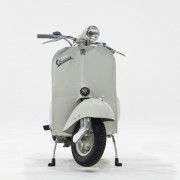 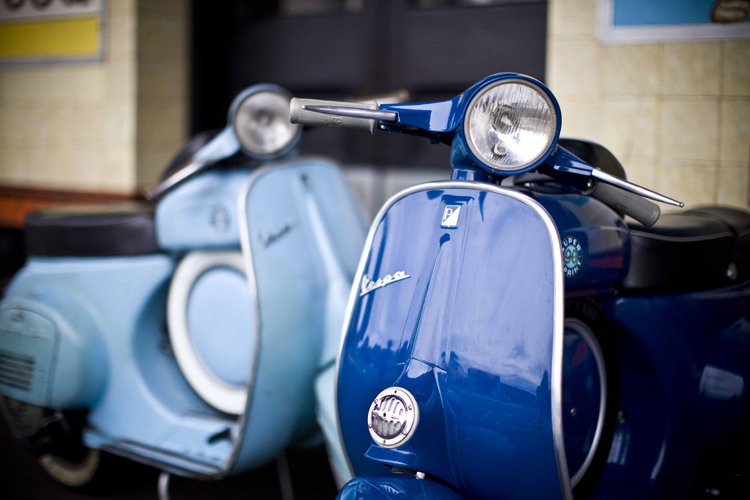 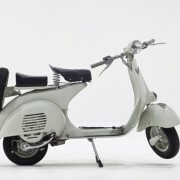 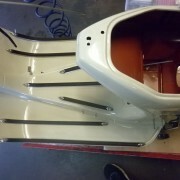 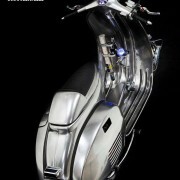 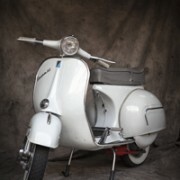 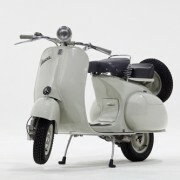 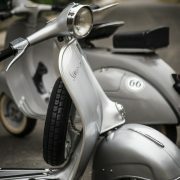 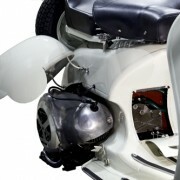 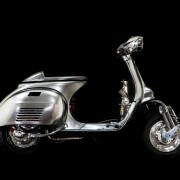 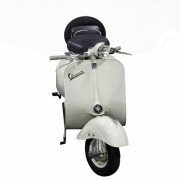 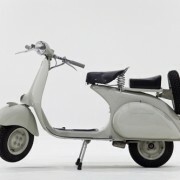 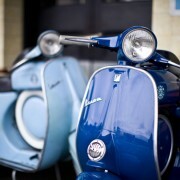 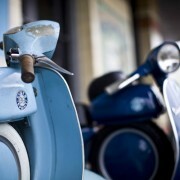 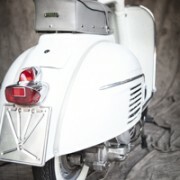 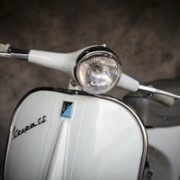 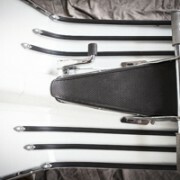 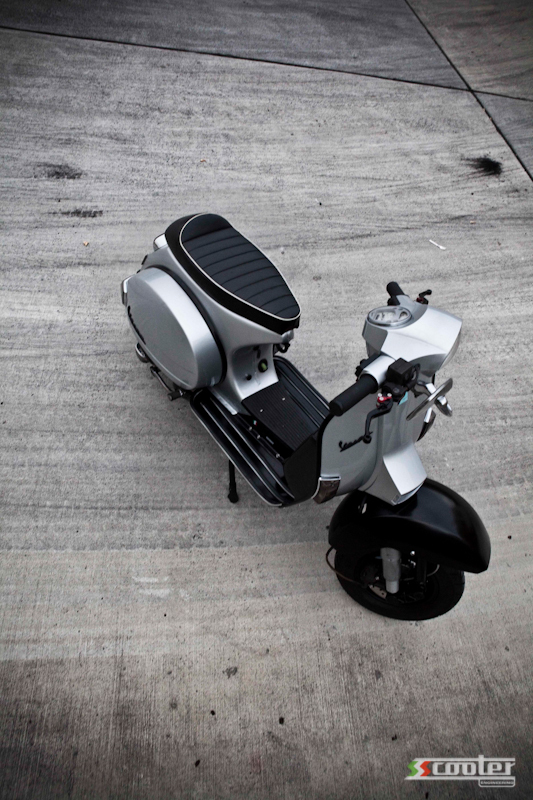 But now she is heading back with her owner “Obie” to the UK to reside with his formidable collection of Lambretta’s. 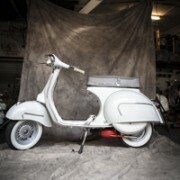 about his latest and gorgeous addition to his vintage stable. 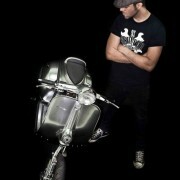 But I am sure I know a few boys in Blighty that will. 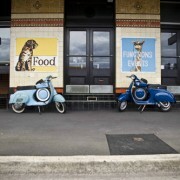 Farewell Graham O’brien you will be sorely missed. 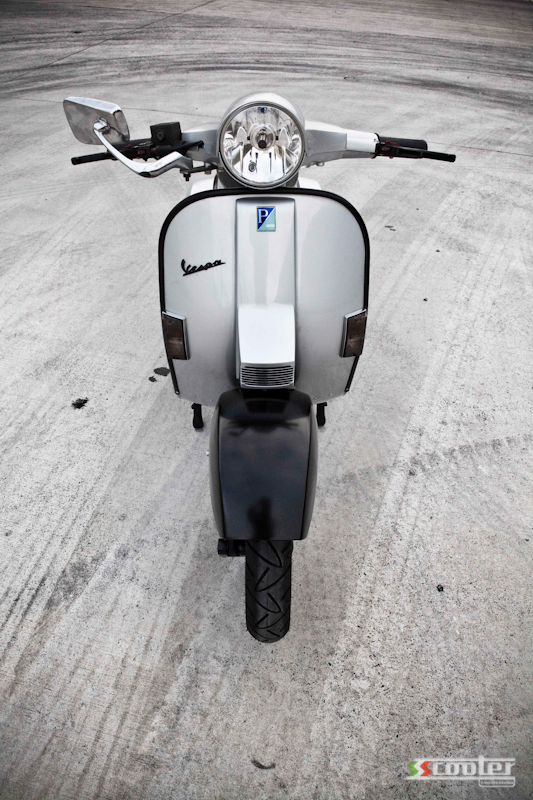 Safe travels and GodSpeed. 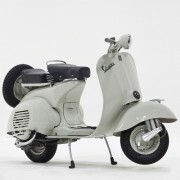 Like most Australian imported Vespas and Lambrettas we find a huge discrepancy in our models compared to their Italian mothers. 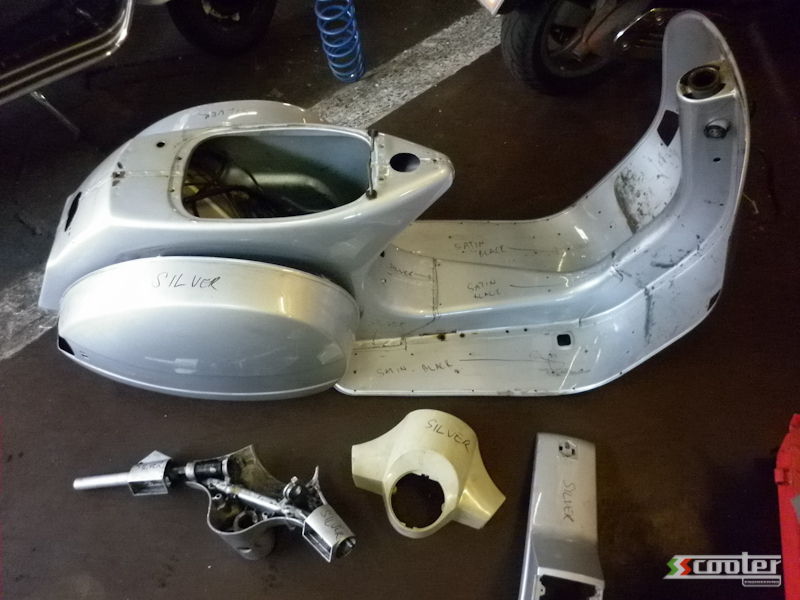 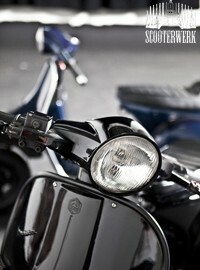 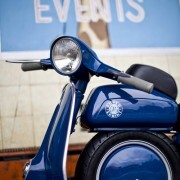 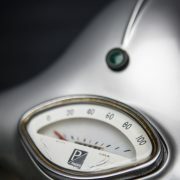 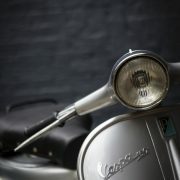 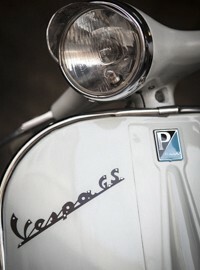 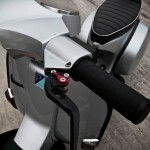 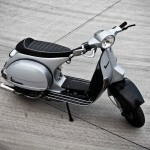 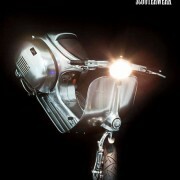 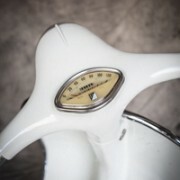 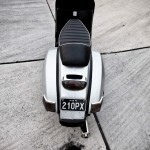 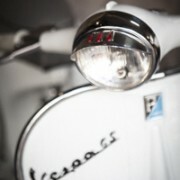 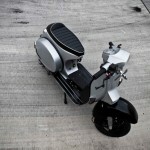 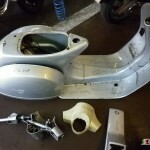 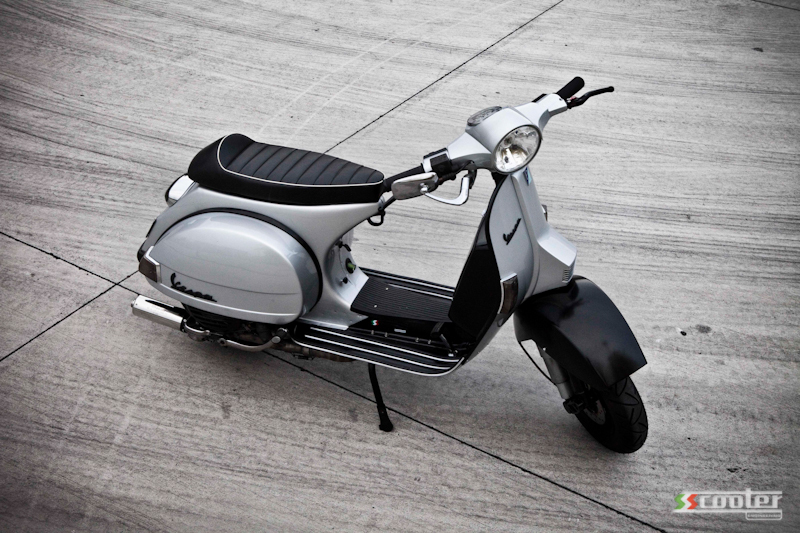 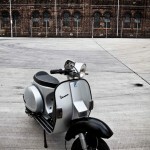 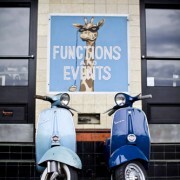 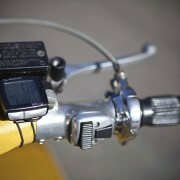 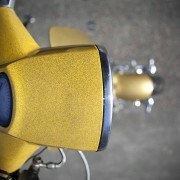 This Vespa, with its frame number VN2T should be a Faro Basso model (low light or lamp down). 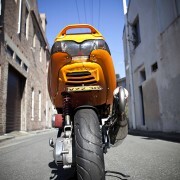 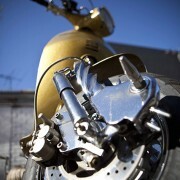 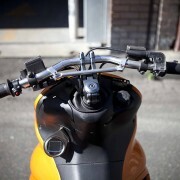 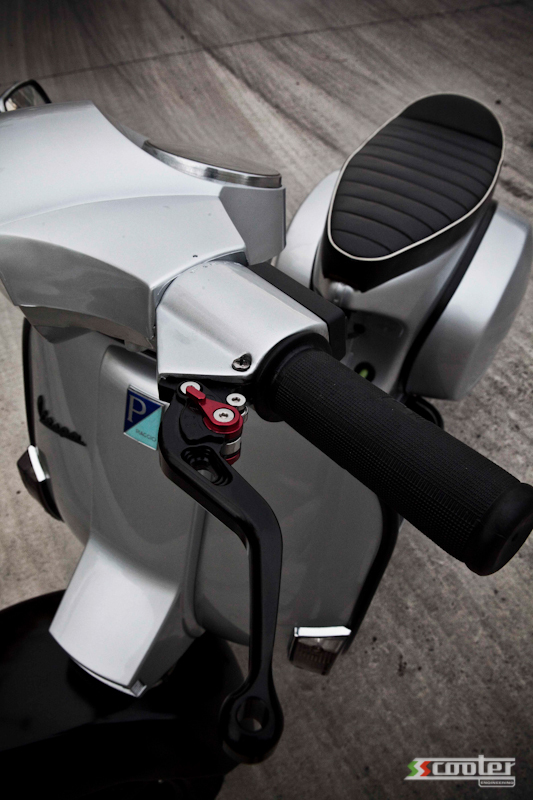 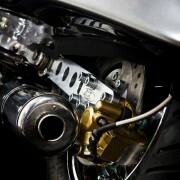 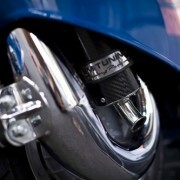 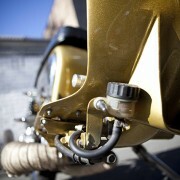 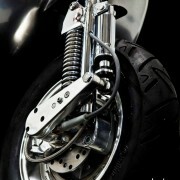 In other words, the headlight is mounted on the mudguard, and should also have a 125cc powered cylinder. 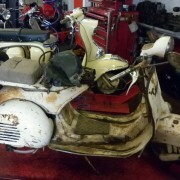 But this barn find had neither, the headlight proudly sits atop the handlebars and the cylinder was still at its original 145.5cc bore. 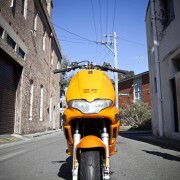 She had either been modified in Australia by the dealer, or she arrived on our shores in her current guise. 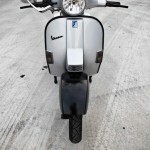 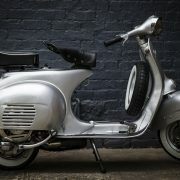 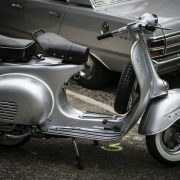 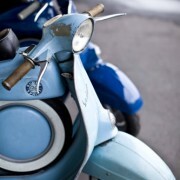 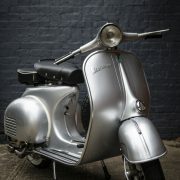 I still like to think that the Italians, on a Friday afternoon, would get around to the Australasian export scooters and give them a touch of uniqueness (in other words, they would get rid of excess parts from different models and years and ship them off). 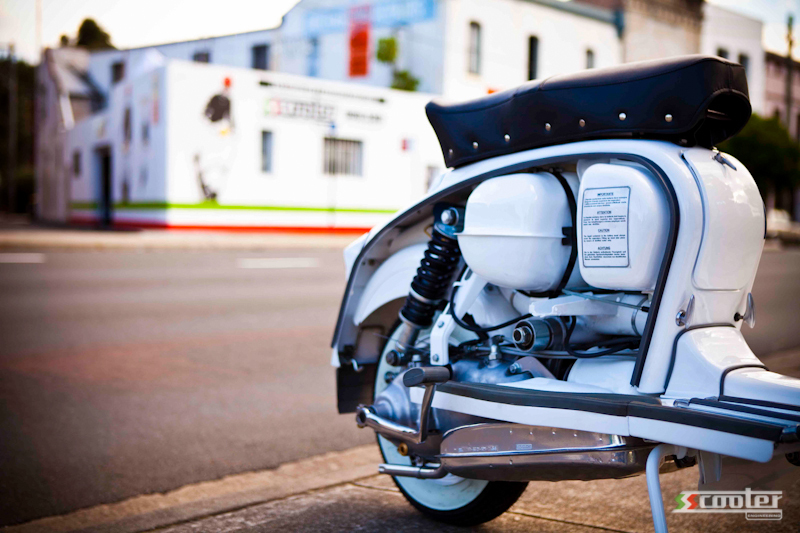 Either way, this bellissima is on her way to a very proud owner in Adelaide. 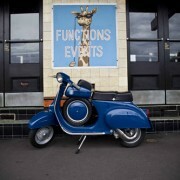 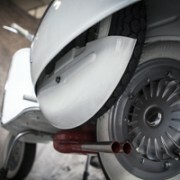 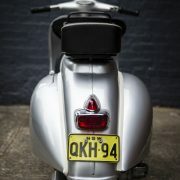 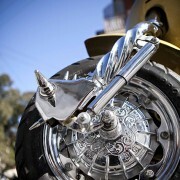 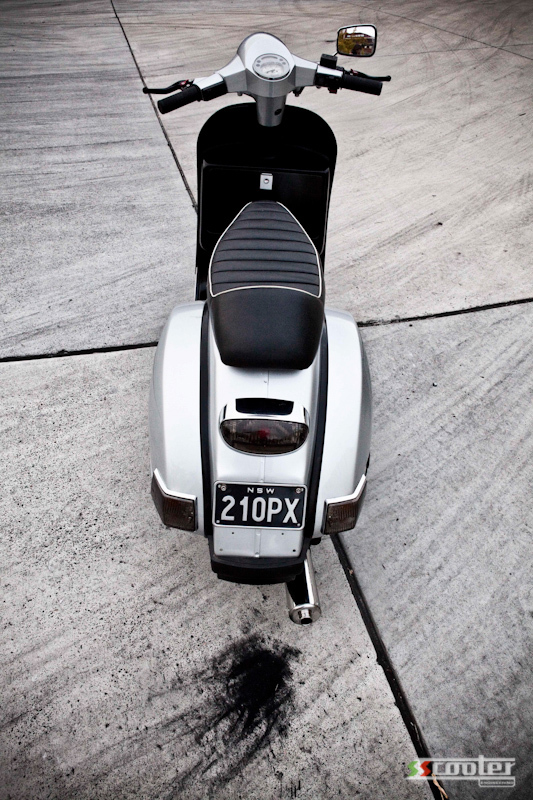 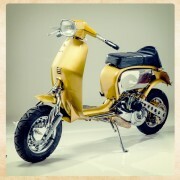 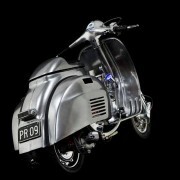 He’ll be riding (not hiding) this uniquely Aussie Vespa, and it will join his vast Vespa and Lambretta collection. 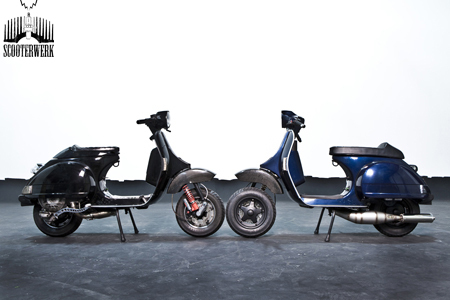 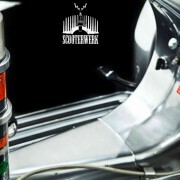 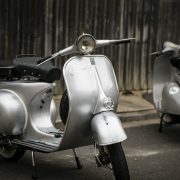 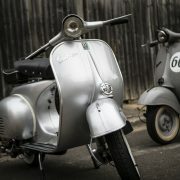 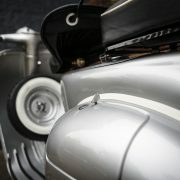 With two of the rarest and coolest Vespa’s made in the SS Scooter workshop, the opportunity to photograph them could not be missed. 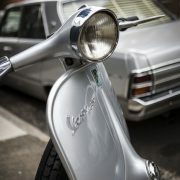 With Sandy’s unmolested and unrestored SS90, sitting next to Tony Dunham’s beautiful and meticulously restored SS90 made for a rare and beautiful sight on a steamy Sydney summers day. 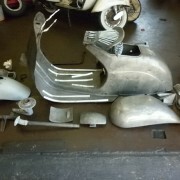 Check out all the photos and more info in our restoration section! 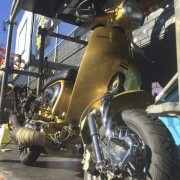 After 2 years of planning, painting and building Sandy’s (owner and head mechanic at S.S Engineering) Vespa Street Racer is now finally rebuilt and ready to tear up the roads again. 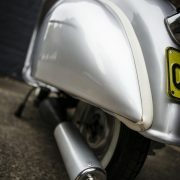 However this time she has been finished off with a high reflective virtual titanium paint. 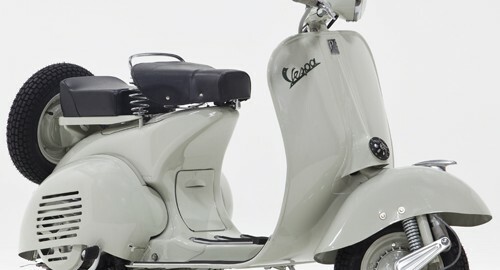 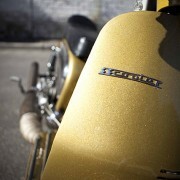 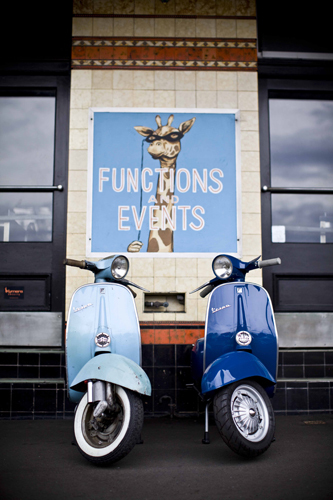 With further refinements in breaking, handling, power and esthetics have not only reinforced this Vespa’s pedigree and street-cred as a brutally fast machine but have also reinforced Sandy’s love affair with this gorgeous machine. 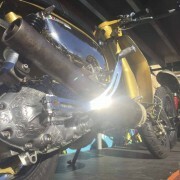 Body: Worb 5 drop bars, digital speedo, digital tacho, Billet master cylinder, full hydraulic Billet front disc brake, semi-hydraulic rear disc conversion, front tubeless rim, rear wide tire kit with 130x70x10 tire, rear Bitubo, front BGM damper, STO spring and SIP sport seat. 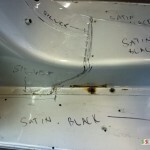 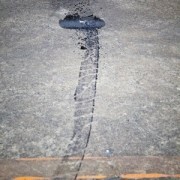 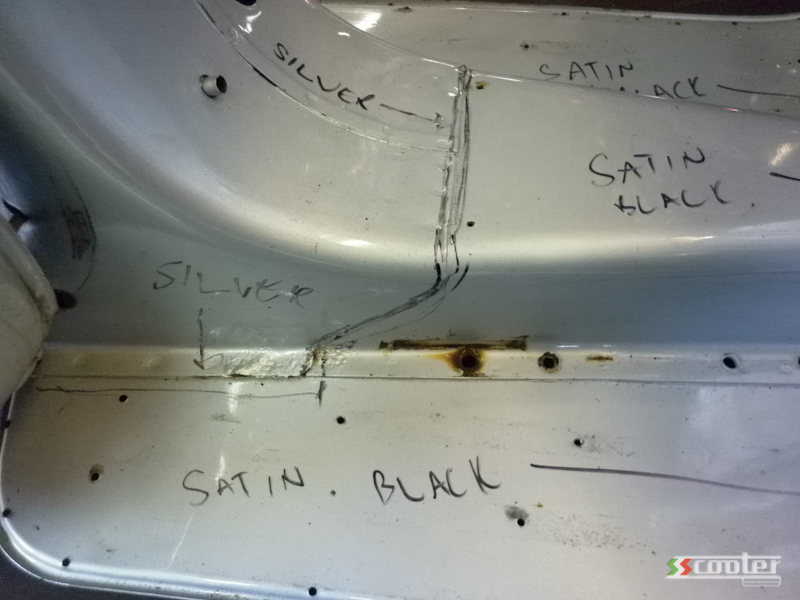 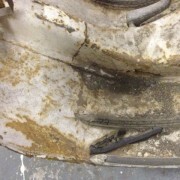 We’ve uploaded the restoration of a tarmac burning PX200. 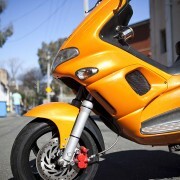 A customer orders a whole scooter piecemeal through the postal system all the way from South America. 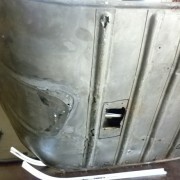 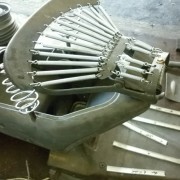 Check it out in the Restoration Gallery.